"Lambert is the man who would be Queen." 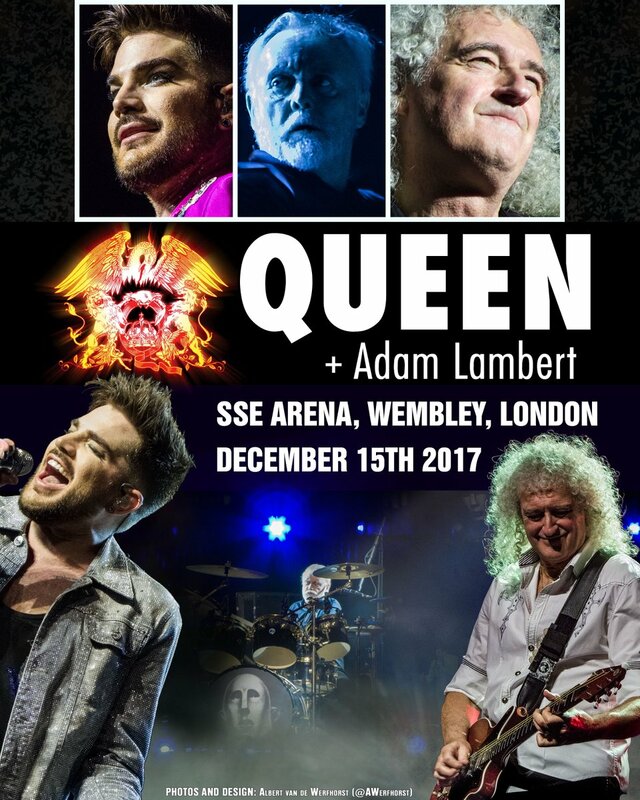 "Lambert is the incumbent in the role of Queen frontman and, after five years of performances with the British rock legends, he has really made the role his own." "With his chunky good looks, trimmed black beard, swept-back blow-dried quiff and penchant for giant sunglasses, he’s actually more of a George Michael lookalike. Only, unlike Michael (in his superstar years) and Mercury himself, Lambert is open about his sexuality, and more flamboyant even than Freddie." Love Adam with Queen. I just can't wait for his new music and him introducing us to his personal and creative music. I miss Adam. I wish something new with Queen and Adam. Apparently Adam will not be coming home to an empty house. Sauli arrived in LA , took 24 hours. He went to the store to pick up groceries, and is now walking up the hill, said it was hard, cause one of the bags broke and the street lights are out.He is going to sleep when he gets there, will be good and he can sleep off the jet lag before Adam gets there. Someone on another site said would he have a key, but they assumed that Adams house has a code to open the door. He has been talking to Saara on the way, but he is by himself. Gutsy guy. He has walked to the store before and it is not far from Adams home but it is all up hill. I'm looking forward to Adam's new music too. Sauli's friend Saara posted on instagram story A video/picture of Adam's fireplace. That one is easy to regonize 😄 But Sauli for sure is staying at Adam's place, cause he said he needs to unpack all his stuff. Don't know if his friends are staying in some hotel or with some other friend. Hope we start hearing about new music SOON! As for Sauli stay I g with Adam, all I can say is that I can already hear the violin music from a very romantic movie ringing in my ears. Just can't help it! Speaking of romance, after Adam's last Get Down Make Love performance, I think I got pregnant right through my headphones. I think Saara has friends that she stays with in LA. HaHa Dee R Gee, You probably not the only one, he leaves nothing to the imagination with that song. Sauli has another picture of him sun bathing on that balcony that has the lounge chair. I thought he was up to something , when he posted he was having a pre-Christmas party about a week ago. Adam is going to have a busy 2018, so he will be trying to fit Sauli into his calendar , if he can. I doubt there will be many free days to do this. But Sauli does seem to be a permanent fixture in his life. Sauli also has work obligations, he also keeps quite busy. Adam will most likely have a New Years Eve party this year. Have'nt heard of him performing anywhere this year. It's probably going to take a while for Adam to "come down" from the high he must have because of QAL's fantastic tour....and especially his overwhelming reception in "Queen country". He must be exhausted, because he put so much of himself into that tour.....Wow!....DID he! Brian and Roger must be so proud of him! BTW....Is Adam's house still up for sale? There's a great new poster for the final UK concert which includes all 6 band members & Frank. Hope it's posted on this site. Yes fluttsp, it's a couple threads from here. I also commented on it when I saw it.